Halloween hair clips for a unique Halloween party experience. 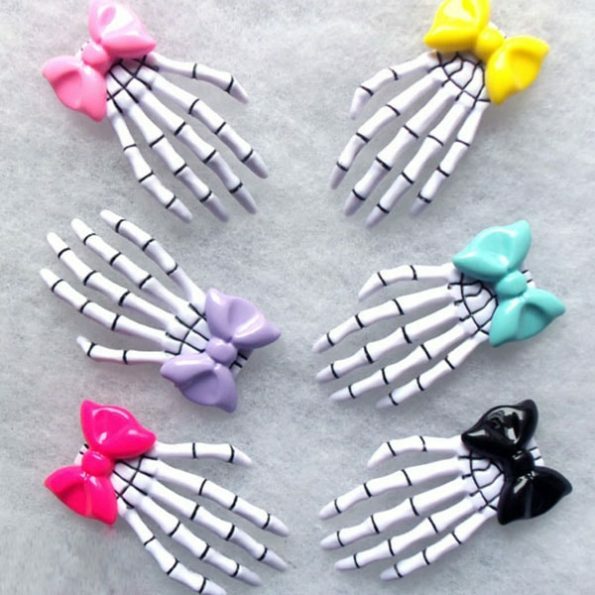 These skeleton hand hair clips enhances your beauty in your special Halloween. It comes with two skeleton hand hair clips in an off-white color with gray/black detailing and comes in purple, pink, blue, black and green. Buy now and enjoy the Halloween party.